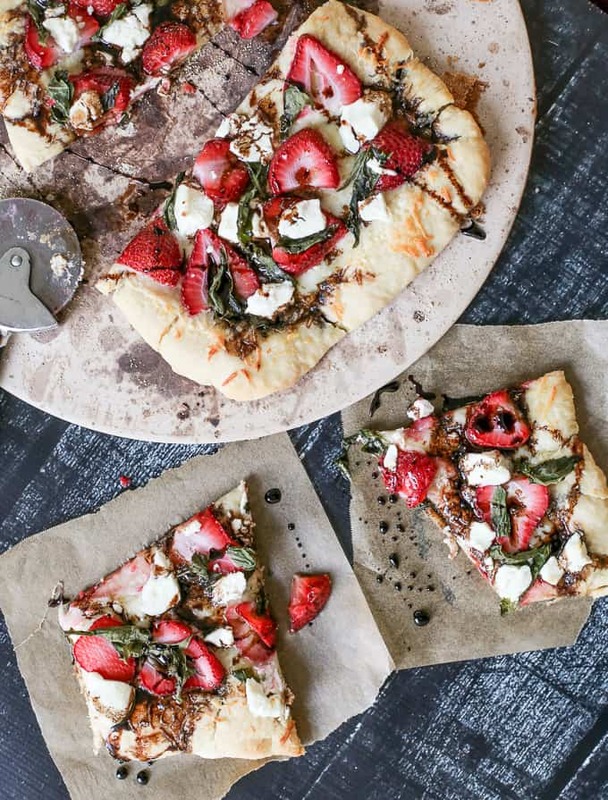 We eat strawberries in salads all the time so it doesn’t come as a surprise that we would enjoy them in pizza as well. 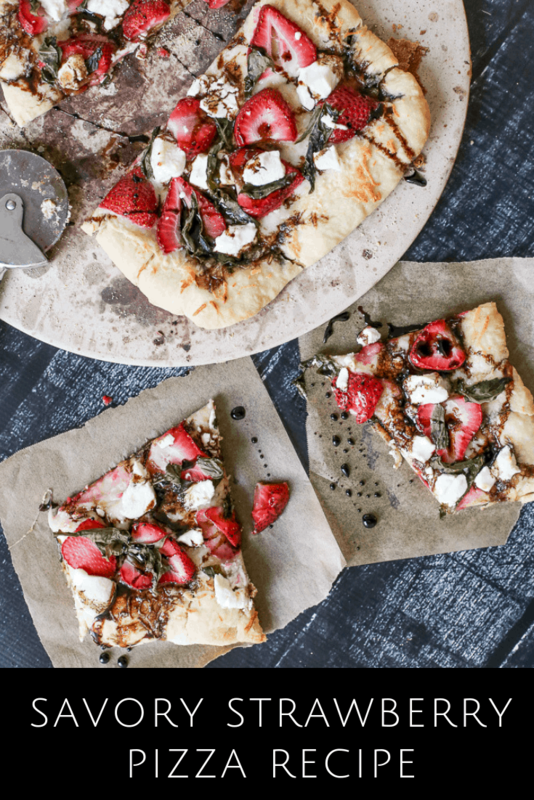 Today’s savory strawberry pizza pairs delicious strawberries with goat cheese, Italian cheese, and a sweet balsamic glaze. It might sound like a dessert pizza but it isn’t. 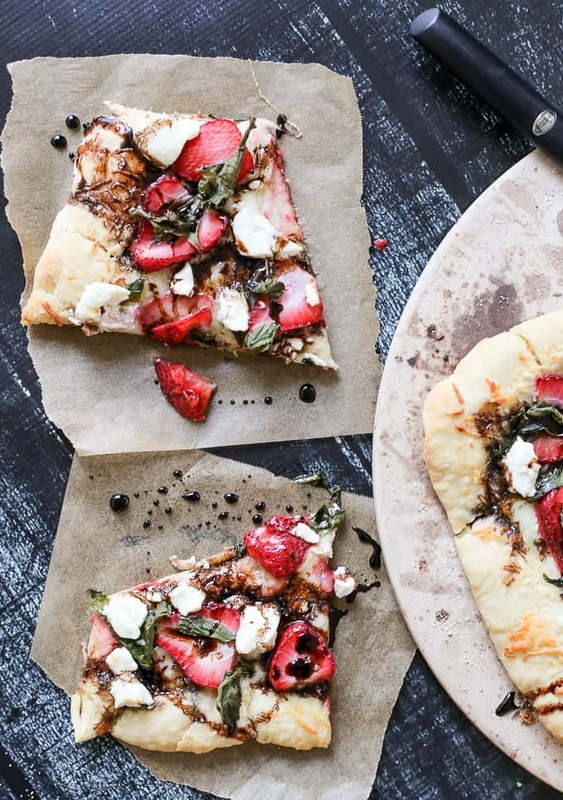 The strawberries just add a hint of sweetness to an all-around savory pizza. 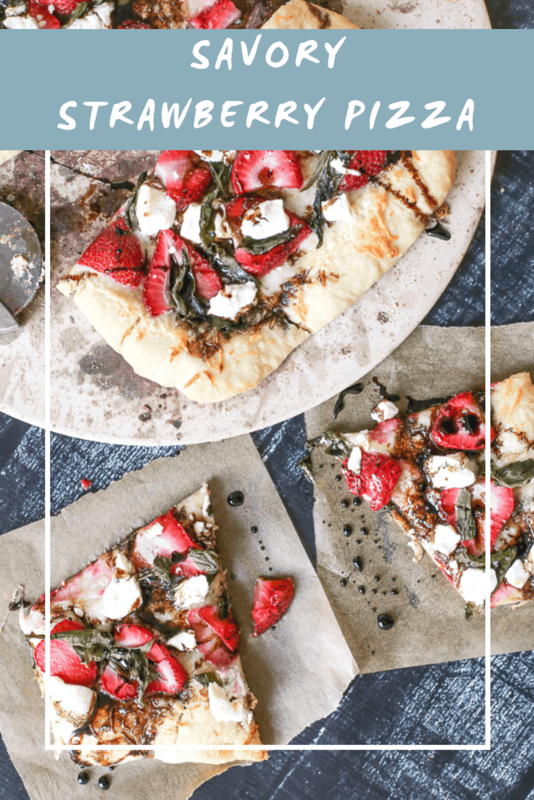 I love experimenting with gourmet pizza combinations and after this recipe, I’m inspired to create some more. Andrew and I both love thin crust pizza so I kept the crust to a minimum, choosing to highlight the toppings instead. I think it’s why I love &pizza (based in DC) so much. Flatbread pizzas are the best and I have an easy time convincing myself they’re not that bad for me since they’re mostly toppings anyhow. Totally logical thinking, right? Preheat oven to 450F. Prepare pizza dough according to directions and shape into desired pizza shape. Pre-bake dough for 5 minutes on pizza stone. Mix olive oil, garlic and cream in a small bowl. Brush on pre-baked dough. 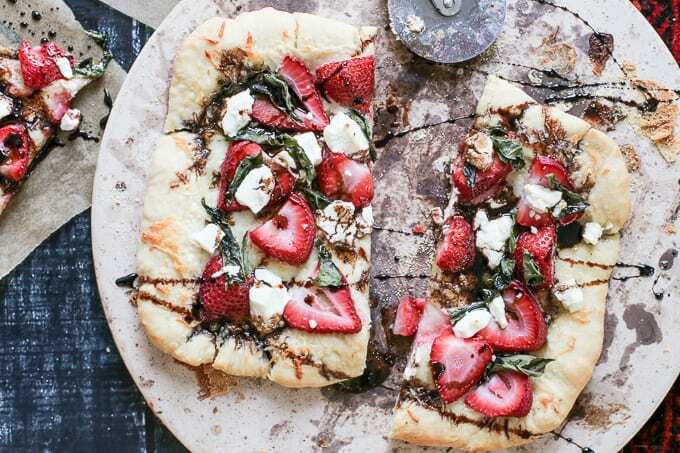 Top with strawberries, Italian cheese, basil and goat cheese. Bake for another 10 minutes. While the savory strawberry pizza is baking, heat balsamic vinegar and sugar in a small saucepan. Bring to a boil and simmer until vinegar thickens and coats a spoon. Remove from heat. Once pizza finishes baking, remove from oven and drizzle balsamic glaze over top. This looks absolutely amazing. Pinning for later! 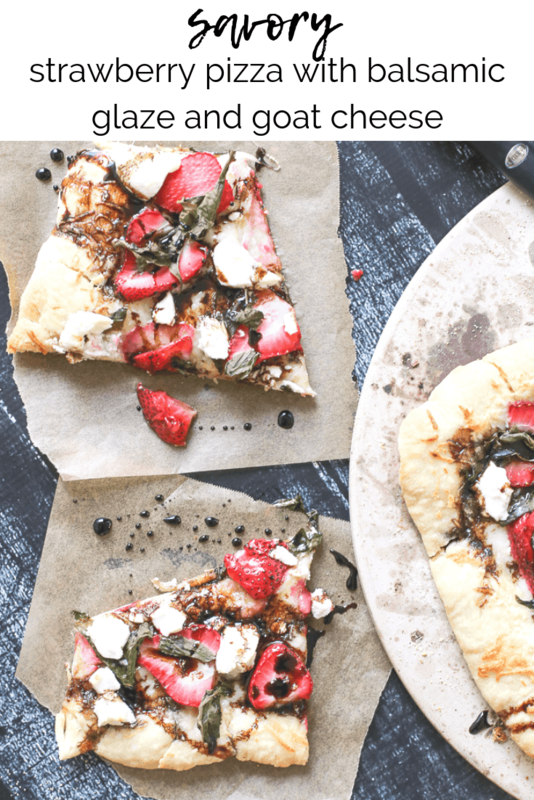 What a fun twist on pizza! Can’t wait to try it!